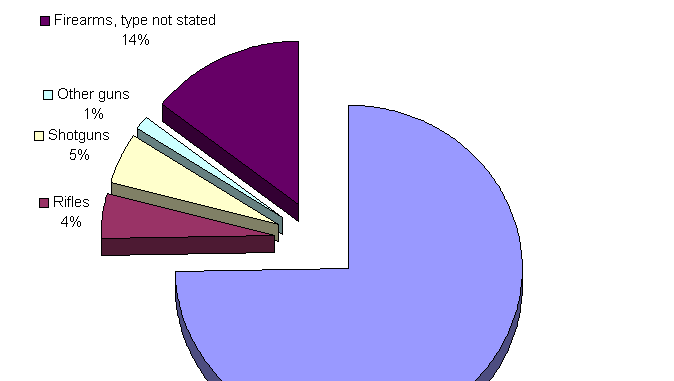 Here is a graph I put together from the data posted on the FBI Uniform Crime Reporting Program web site. The data can be found here. 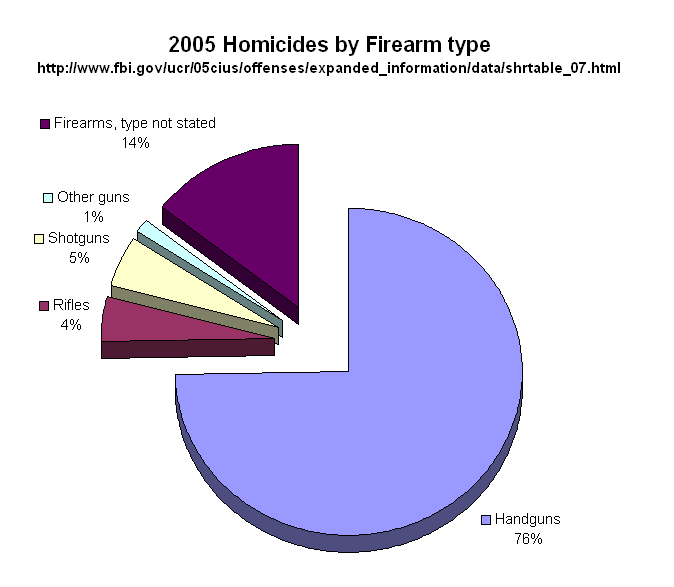 In next to last place, right after “other guns” which I assume includes potato guns and airsoft, rifles weigh in at 4% of all homicides committed with firearms in 2005. That is ALL rifles, mind you, even the revered “sporting” kind. If you check out the data you will find that 25% more people were killed with blunt objects, 2 times as many were killed with “personal weapons” (hands, fists, feet, etc..) and more than 4 times as many were killed with knives or cutting instruments than with all rifle types combined, let alone the “Assault” variety.